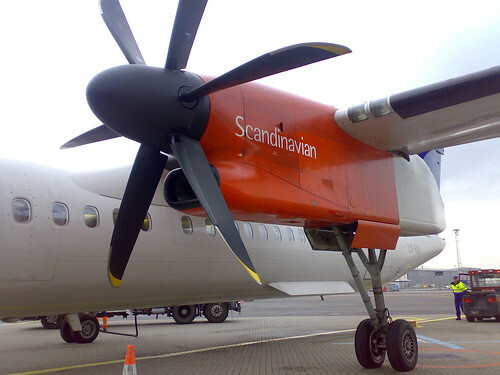 The Airline Blog reports on the once proud Scandinavian carrier SAS´ financial troubles. They note that the A330s and A340s are flying long haul without filling up adequately with passengers, leaving these routes to account for 50% of SAS losses. The blog suggests that they should turn Copenhagen Kastrup Airport into a stronger European international hub, competing for North American flights, in order to save the company. Although we completely agree that something needs to be done, the analysis is slightly off. The route map is fine, what needs overseeing are the inflight amenities. From Nuuk to Beirut, we’re all wondering why the glassware can’t be crisp Iittala like Finnair? Why the nightwear can’t be sharp like ANA? Don’t get us started on the pre-flight dining – have you never been to Cathay Pacific’s Wing lounge in Hong Kong? Fix these details and you’ll have passengers queuing up to hit the skies in those SDL-designed Airbuses again. This entry was posted on June 02nd, 2009 and is filed under Travel. You can follow any responses to this entry through the RSS 2.0 feed. Both comments and pings are currently closed. It's true that SAS needs to improve its service, although I don't think that it's going to be the European equivalent of Singapore Airlines. Making changes in its route network would allow it to be competitive once again – after all, if your schedule isn't very good, people aren't going to fly, no matter how great your service is. You are correct, but you are earnestly missing the point. The object of this post was to point out how TB utterly ignores the realities of the airline business in favor of his luxe fantasias. His rebranding of Swiss, for example, was so successful that it was forced into the embrace of Lufthansa, and his refit of BA's Club World has been such a hit in the recession that the J cabin is half-empty and inducing panic in top executives. Yes, better pajamas will save SAS.